Before buying a used car, it’s important to check the tires to see if they’re excessively worn, improperly mounted, or have any other major issues. Having four different types of tires on a car is probably not advisable, while matching pairs on the front and back isn’t necessarily a significant problem. To a certain extent, the decision may come down to how much you trust the seller. If purchasing a car from your uncle, and you remember when he bought a new tire to replace one that blew out a few months previously, then you should be safe driving in that car with one mismatched tire. A car with mismatched front and back tires should still be usable, especially if it is a two wheel drive vehicle. Tires wear out at different rates, and if one is more worn than the other, simply rotating the tires may be a possibility to prevent further wear. A car with three or four mismatched tires might be more of an issue, as the tires cannot be rotated with the same effect. Issues with inflation, alignment or your vehicle's suspension can also compound the issues, as illustrated in this image. The big problem with mismatched tires is that they are often a sign of a seller who takes poor care of his car. If the tires are the cheapest brands from the cheapest manufacturers, then the rest of the car is likely not in much better condition. If the tires are different sizes then they may also wear at different rates, and you’ll be shopping for new tires sooner than you think. Functionally, mismatched tires will wear out at different rates. If all four tires are the same size and model, and the owner has been rotating the tires appropriately, there should never be a reason for mismatched tires. All four tires will wear out at roughly the same time, and you can purchase 4 new tires, avoiding mismatches and potential damage. Another problem with mismatched tires is that you don’t know how old they are or when they should be replaced, except by examining the wear. And, as mentioned above, some tires will last longer than others. 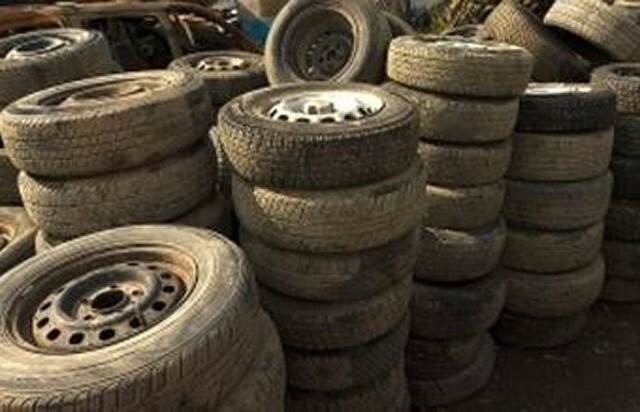 In order to be sure of the tires you have, it might be best to replace all of them on a newly purchased used car. 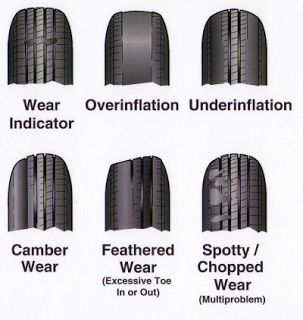 How often do you check your tires for tread depth and wear? In general, it would be nicer to replace all four tires at the same time, and you want to make sure any car that you buy has four tires from the same manufacturer with approximately the same amount of wear. This is because uneven tires might change a car’s handling. But yeah, if you’re buying a used car, having mismatched tires is not a good enough reason not to buy it especially if it’s a good deal. That’s a really nice and informative blog. Checking tyres is really crucial before trying to buy used cars. I would also like to know if it’s fine to have different tyre sizes front vs back. I recently had a burst on one of my tyres then only last weekend l bought two 2nd hand tyres which are different in size from the ones l had. Hi Nkosiyabo – This would be dependent on the type of vehicle you have. Which vehicle are you driving? i wanna know if it would be ok to miss match the front and the back but keep them all season tires w/ low rolling resistance i need some help would it be ok? Useful and informative article for me. Thank you very much. I also often check the depth and wear of my tires, however, I only evaluated the perception according to my view. Because I don’t have much expertise.